From the moment my friend and I arrived, we knew it was going to be a great evening. We were greeted at the fresh flower-laden reception (yes, it's a mini florist - the gorgeous bouquets are all for sale) and shown through to the antique pewter-topped bar, where we enjoyed some rather spectacular cocktails, including the signature julep cocktail, The Exhibitionist. Although good, this was in fact our least favourite compared to the zingy Thirst for Knowledge (variation on a mule) and the sublime and tres jolie Camomile Luxe (gin infused with camomile tea and other secrets). The bartender knew his stuff, was a dab-hand with a shaker and had a friendly manner. It was the most perfect welcome. We then took our seats for dinner at a cosy corner table with a great view for people-watching and soaking up the buzzing ambience. 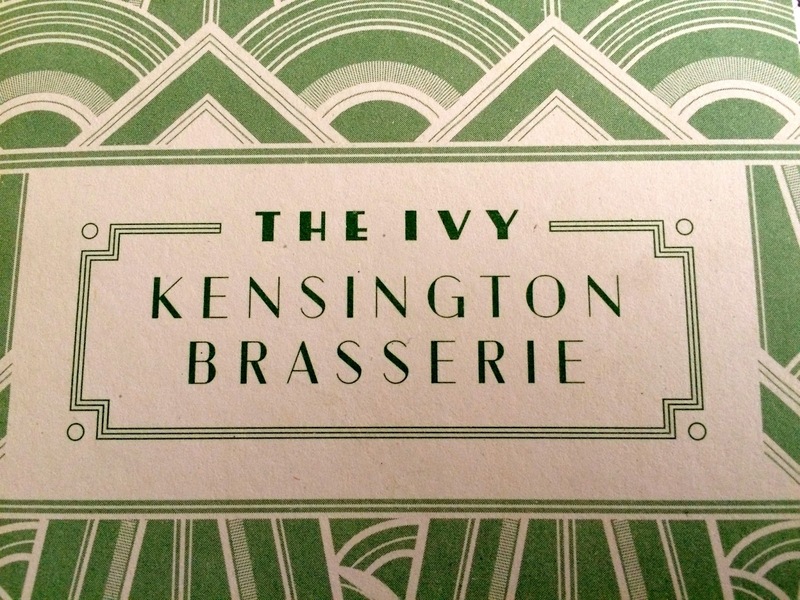 The impeccable interior design at The Ivy Kensington Brasserie includes classic elements of the original Ivy restaurant, with dark warm wood; statement lighting; beautiful flooring; elegant wall-panel art and stylish green leather banquettes. Crisp white table cloths and smartly dressed waiters added to the timeless quality of this fine establishment, as it really felt as if it had been there forever. Not just a matter of weeks. 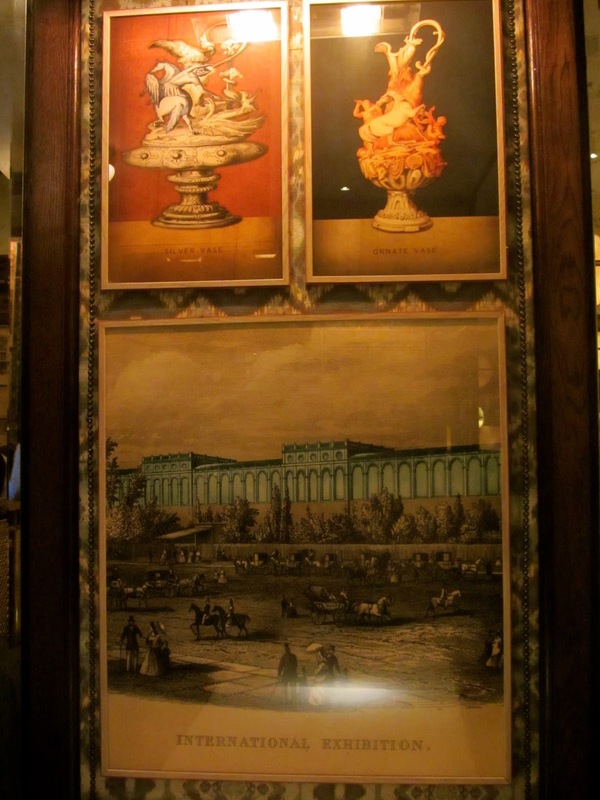 The extensive menu is one where you simply can't decide what to have, literally wanting to try everything. After much contemplation, we eventually chose a classic prawn cocktail and some killer crunchy king prawns served with a wasabi mayo. So far, so excellent! Next, my friend opted for the grilled swordfish served with a chimichurri dressing, lemon and rocket. That got a big thumbs-up, as did my perfectly cooked fillet steak served with a red wine, rosemary & shallot sauce. For sides, we went for the zucchini fritti, minted peas with baby onions, and truffle & parmesan chips. All amazing. We just about had enough room for pud and tried the lemon meringue alaska and the signature chocolate bombe. The alaska was almost too beautiful to eat, resembling a meringue beehive, baked with lemon ice cream, lemon curd sauce and baby basil. Who knew the marriage of lemon meringue and baby basil could be so exquisite. That's definitely a combo to recreate at home! As for the bombe, this was presented as a shiny chocolate ball in a pool of milk foam, before the waiter proceeded to pour over a hot caramel sauce which reduced it to a melting pot of chocolate, honeycomb and vanilla ice cream heaven. To accompany this feast, we enjoyed a fantastic bottle of 2013 Bodega Cantena Malbec, which slipped down a treat (as you can tell from my particularly red cheeks). Nikki finished off with a cappuccino, and being her birthday, they kindly presented her with a homemade macaron and a birthday message hand-written in chocolate. As for the service, it was simply faultless. Everyone from beginning to end was friendly, helpful and un-pushy. And even though the waiters were super-attentive, it was discreet, professional and not at all invasive, unlike so many restaurants who feel it necessary to interrupt you every five minutes to see if everything is okay. (If it's not, believe me, we'll let you know.) Our entire evening was fun, relaxed, delicious and certainly memorable. In fact, we were enjoying ourselves so much, we were the last punters to leave, practically turning the lights off on our way out! The Ivy Kensington Brasserie is exactly what the neighbourhood needs and is ideal for local residents and visitors alike. 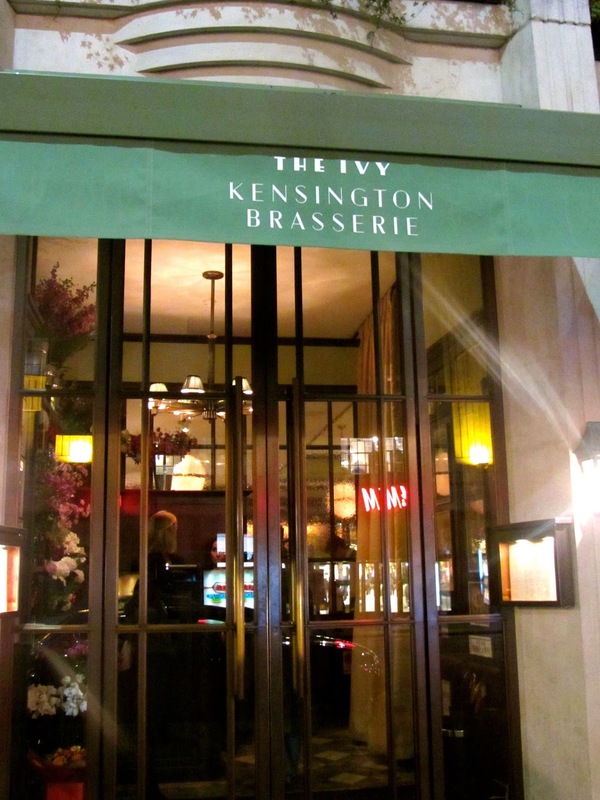 The great thing as well is that they keep 40% of their tables free for walk-in customers, which means diners can just pop in for a spontaneous meal when they're feeling peckish, so avoiding the elitist sense of having to book months in advance. 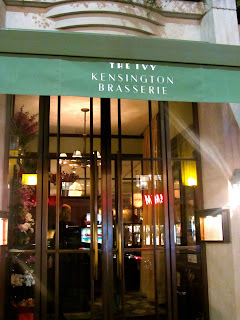 And with such a fantastic and affordable menu (yes, you may think that given how great the food, service and decor is, that it's going to be extortionate, but it really isn't), The Ivy Kensington Brasserie is somewhere worth frequenting on a regular basis. Whether it's a breakfast meeting with your colleague, a ladies (or gents) lunch with your best pal, a romantic dinner with your lover, or afternoon tea with your aunt. So, as you can tell, I thought it was a total delight and I can't wait to go back.